If this powerful predatory dinosaur lost one of its dagger-like teeth, a new one would grow back within a matter of weeks. 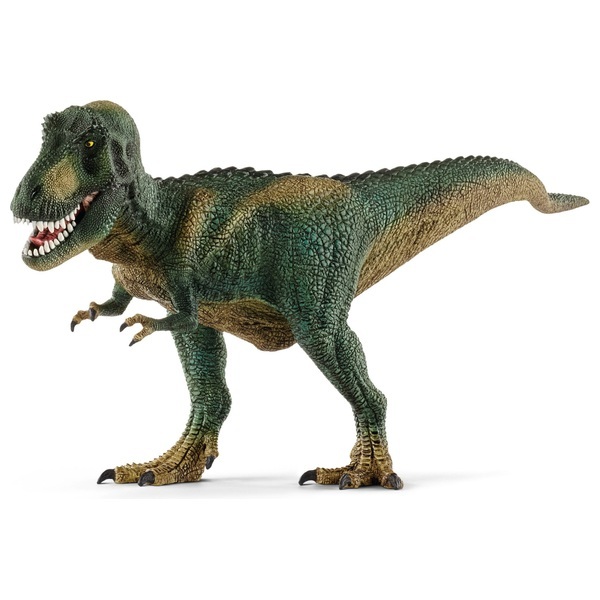 Although the Tyrannosaurus Rex looked quite threatening, it could hardly use its front legs armed with just two claws since they did not even reach his mouth. Nearly seven metres tall and thirteen metres long, the Tyrannosaurus Rex was probably not a very skilled hunter, but rather a scavenger which probably fed on the leavings of other animals. It had more than fifty teeth measuring more than 15 centimetres in length which it used not for chewing but rather for tearing, since it swallowed its food in large chunks. To improve depth-perception when searching for food, the eyes of the Tyrannosaurus Rex were oriented toward the front such that the fields of vision of both eyes overlapped.